Rosanne Cash poses alongside cousin Jackie Cash in front of an exhibit at the Old State House Museum. 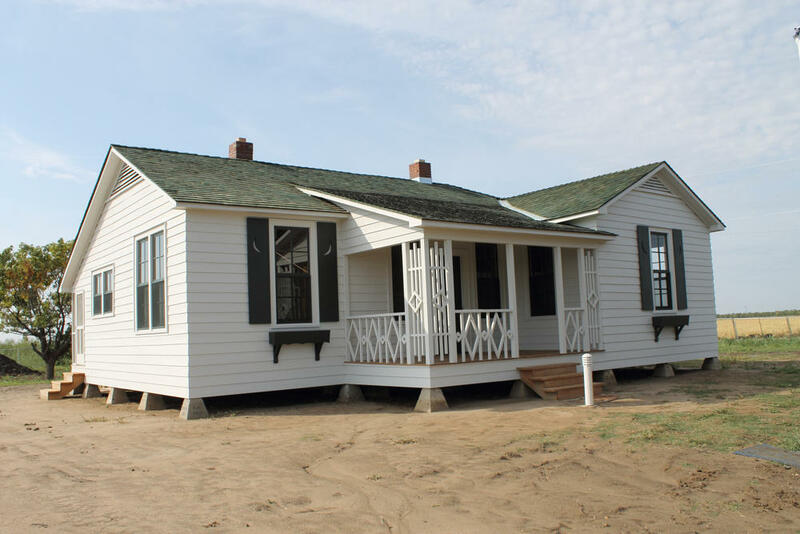 As final work is being completed to open Johnny Cash’s boyhood home in Dyess, Arkansas as a museum, his daughter Rosanne Cash came to Little Rock over the weekend for a sold out show and to be honored for her work in helping to restore the small house. The visit marked the first time Ms. Cash has ever performed in Little Rock and came in advance of the Jan. 14 release of a new CD, The River & The Thread, with songs focused entirely on the southern region of the country. Some are set in Arkansas, inspired she says by her experiences in watching the restoration of the home and community where her late father Johnny Cash was raised. John Leventhal and Rosanne Cash perform Saturday in Little Rock. She performed several songs from the new album during an intimate performance Saturday, alongside husband and collaborator John Leventhal at the Oxford American’s new performance space South on Main. Cash also writes an essay in the Oxford American's annual music issue, which this year focuses on Tennessee and will be released next week. Earlier in the day Cash visited the Old State House Museum, where she was honored for her work with Arkansas State University and the National Trust for Historic Preservation to help restore her dad’s home. “I haven’t done any of the hard work; I’ve just shown up and helped them raise some money by performing. The real credit goes to the team who has done the restoration,” Cash said afterward. She also toured the Old State House Museum, which has several Johnny Cash artifacts, including old family photos, movie posters and one of his suits. “My dad was always incredibly proud of where he came from and it was always a real part of who he was and his persona in the world was that he was from Arkansas, he was raised on a cotton farm,” Cash said. Ray and Carrie Cash moved into the home with their children in 1935. Dyess was a planned community, created during the Great Depression as part of President Franklin Roosevelt’s New Deal. The Cash family was among 500 who were selected to be a part of the community, with each getting a home and 40 acres to farm. 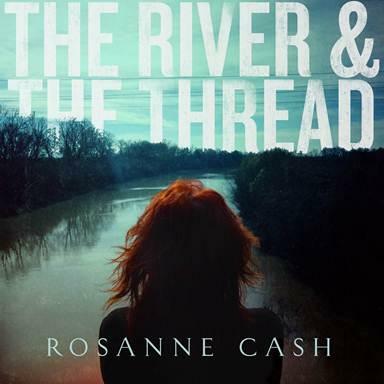 The cover of Cash's forthcoming CD The River & The Thread. “The Cash family were desperately poor and this saved their lives,” Rosanne Cash said in an interview with KUAR. Their move into the home inspired her new song "The Sunken Lands." The Cash family eventually sold the house in the 1950s and it changed hands a few times over the decades until Arkansas State University, realizing the cultural importance of Johnny Cash, recently bought the house and recruited family members to help. As ASU began the project, officials brought in Cash’s family members who have been instrumental in efforts to make this restoration as authentic as possible. The restored Cash home in October 2012, when Cash family members got their first look after physical work had been completed. The Cash home is only part of the overall restoration, which also includes the town’s administration building to serve as a visitor’s center. A soft opening of the museum is planned for next April, says Dr. Ruth Hawkins, director of ASU’s Arkansas Heritage Sites program, who has been overseeing the project. The Cash family and those involved will mark the opening on April 25, while it opens to the public the following day. “It will be limited hours for a while because we will be staffing it with graduate assistants, but then we’re looking for a grand opening and being fully open in the fall of 2014,” Hawkins said. A sold out show at Arkansas State University raised more than $310,000 for the restoration of the boyhood home of music legend Johnny Cash in the east Arkansas town of Dyess. Four generations of the Cash family, including daughter Rosanne Cash, son-in-law Rodney Crowell and son John Carter Cash were on hand to pay homage to Cash, as were many of his longtime friends like Kris Kristofferson. On what would have been Johnny Cash's 80th birthday, dozens of family members joined hundreds of fans and residents in the east Arkansas town of Dyess Sunday to formally mark the beginning of work to restore his boyhood home. "This project has been in the making for several years and I never thought that it would actually come to fruition," said daughter Rosanne Cash, who led the ceremony at the Dyess Community Center. "We never foresaw that it would take on this kind of life."